The Ditto Valve™ Kit is an innovative method for adding hydraulic functions* onto forklifts already fitted to the carriage with wire reinforced auxilliary hoses. THE FASTEST WAY TO DUPLICATE YOUR VALVE… hence DITTO! Ditto Valve™ maintains the original clear view for operator safety. Ditto Valve™ is an economical solution for aftermarket-added functions. Savings of up to 50% over reel-based methods. Ditto Valve™ is at home in Logistics, forklift sales, and dealer short-term rental fleets. Attachments work at full speed! The Ditto Valve™ Kit has no reels or batteries! 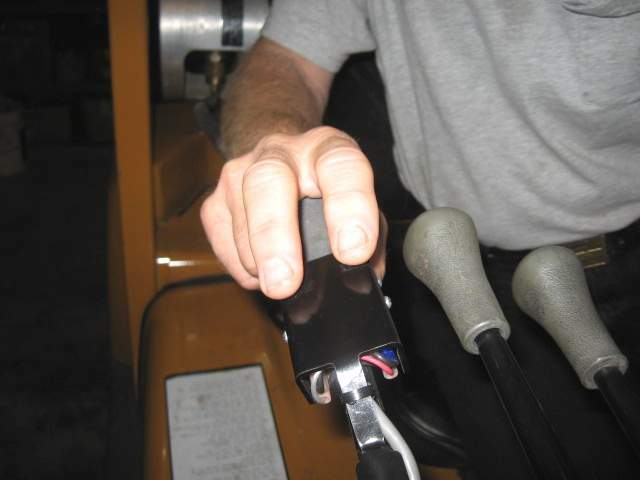 It uses patent pending HydWire™ hydraulic hose assemblies to bring power and control to the carriage. HydWire™ hoses fit in existing over-the-mast hose reeving & look like any other hose, but capture the wire reinforcement for use as an electrical conductor. The Ditto Valve™ Kit uses a high volume distribution valve, mounted on the carriage or attachment. What’s in the Ditto Valve™ Kit? Simply Remove Existing Aux Hoses & Replace With HydWire™ Hoses. Attach The Valve to the Carriage or Attachment. NOTE: The Ditto Valve™ kit is universal in design; occasional adapting may be required. Ditto Valve™ is sold only through forklift dealers. Ask your dealer about Ditto Valve™!